Looking for a way to upgrade your makeup collection? Why not try getting a makeup brush set? You’ll get (almost) everything you need to perfect your makeup application–at a cheaper price too! 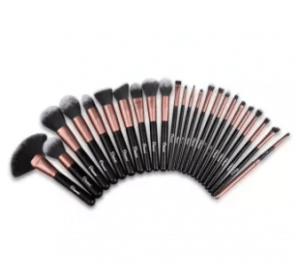 Buying makeup brushes as a set will cost less compared to buying them individually. But with a lot of makeup brush sets available, it’s a bit difficult to choose the right one. We’re going to discuss what you need to know in order to choose a good set of brushes just for you. Of course, we’ll also include a list of great brush sets you can get online. 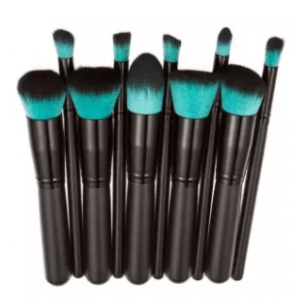 In this section, we will discuss the important points in buying the best makeup brush set. Take note of these essentials, so you will know what to look for in the product. This will also lighten up your burden in finding the best product on the market. 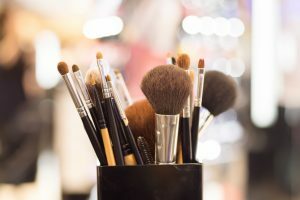 Makeup brushes are usually made of natural or synthetic hairs, and they are said to work well with powder-based makeup. With natural hair, the quality of the hair would depend on the type of animal used, usually from a horse, squirrel, mink, sable, or goat. The recommended natural hair that of squirrels, because they’re soft. Synthetic makeup brushes, on the other hand, are typically made of nylon and some other synthetic fibers. They are said to produce a great quality because they don’t have a cuticle, which does not trap makeup. This is perfect for use on liquid products like foundation. If you have sensitive skin and tend to suffer from allergies, you can get makeup brushes made of nylon. They are gentle on the skin and do not put your face at risk of allergies. Just make sure to check if the brush feels scratchy or not on your skin. This will ensure you have the best makeup brush set for your sensitive skin. There are different kinds of makeup brushes, each of them having their own purpose. There are brushes for foundation, eyeshadow, lipstick, etc. So pick a set of brushes that match what kind of makeup you put on. Makeup brush sets usually come with their own case. It’s not exactly a requirement, but it would definitely come in handy, especially if you travel a lot. 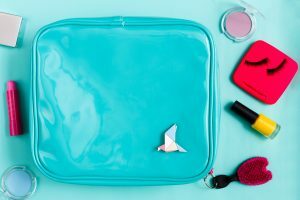 The benefits of having a makeup brush case are you can easily carry it anywhere, and you can store them in one place. The case will also keep the brushes protected. 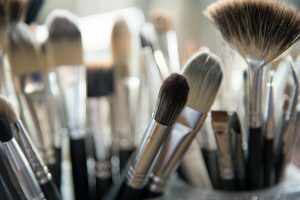 Do not keep your brushes with your makeup. The last thing you’d want is damaged brushes. 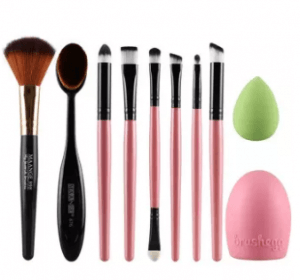 Now, we will present the top 10 best makeup brush sets you can buy online. Check out each item and try to assess which one is suitable for you. Thinch introduces a makeup brush set that is made of artificial fibers that can give you a flawless look. The bristles are densely packed, offering you a soft feel while using them. This is amazing for both beginners and professionals who want to achieve that perfect look on every occasion. It also has a brush cleaning pad that you can easily hold because it’s very handy. You can take advantage of its included face sponge as well to help you blend your foundation perfectly. This makeup brush set is made of premium-quality synthetic bristles that provide a soft touch and do not cause shedding. It’s also great for applying liquid cosmetics and creams as it does not accumulate makeup, giving you a better finish. This is incredible for users who are using more liquid makeup products than powdered ones. The brushes are each covered with plastic, which helps prolong its durability. The set comes with 20 makeup brushes that even include a mascara brush. Vakind presents a makeup brush set made of nylon bristles that allow you to achieve a perfect makeup application. The bristles move towards one another that do not trap makeup, resulting in a fine finish. This is awesome for beginners and professionals who are keen on the details of their makeup application. 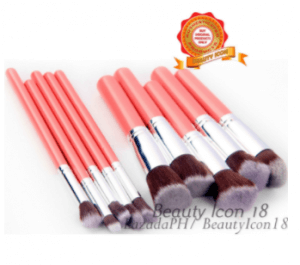 The set comes with 10 brushes that provide a soft and silky feeling. Its handle is made of a glossy wood, letting you feel a smooth and sleek touch. This is also great for blending the concealer in your skin because the bristles move easily without accumulating the makeup, resulting in an even application. 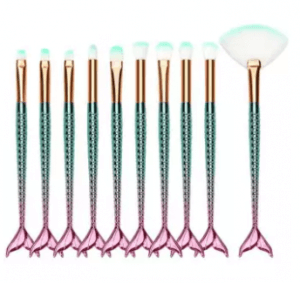 This wonderfully made makeup brush set is uniquely designed with a mermaid’s tail. Its handle is made of plastic that’s lightweight, so it’s easy to use. Its fishtail also contributes to its functionality because it stops itself to roll over. The bristles are made of a synthetic material that’s great for applying liquid makeup. 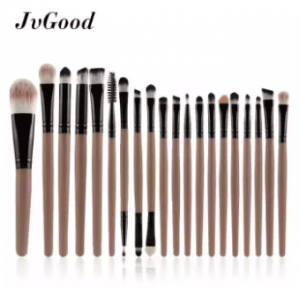 The set comes with 10 various brushes for your eyes and face. This is excellent for trendy makeup users who are keen on choosing products with style. This makeup brush set offers you different types of brushes whose bristles are made of natural horse hair. It works well with blending powder makeup because the bristles don’t absorb too much powder, allowing you to mix it easily and evenly. This is great for users who prefer to use more powder-based makeup than liquid-based. 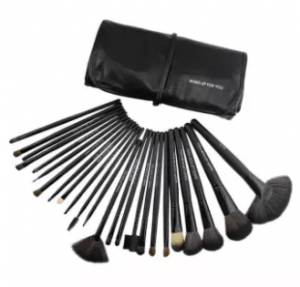 The set comes with a leather pouch too with the big-head brushes individually covered with plastic. Each brush is also labeled, so it’s easy for you to determine which is which. This makeup brush set is made of nylon bristles that offer a soft feeling upon use. The bristles are also dense, which can greatly blend makeup on your face. It has a plastic-made handle as well that’s durable and comfortable to hold. This is ideal for beginners as it allows them to control their makeup application easily. Although there is no pouch or storage box included, each brush is securely covered with plastic. Pop Art offers a makeup brush set whose bristles are made of Taklon synthetic fiber. It is known to have antibacterial properties that won’t trigger allergies, which is good for your skin. The fiber also promises softness, durability, and versatility. This is recommended for users who have sensitive skin as it does not irritate your skin. The set comes with 7 makeup brushes with a leather case. Its handle is made of a combination of wood and plastic that’s made sturdy for a long-term use. The number 1 on our list boasts bristles made of synthetic fibers that have a very soft feel. You don’t have a problem cleaning the brushes too because they are easy to clean and will not cause shedding as well. 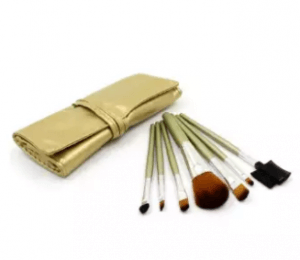 The set includes 24 pieces of makeup brushes of your choice with a leather case. Even a professional makeup artist uses this brush set and is very happy with the quality of it. This is highly recommended for professional users and beginners who are looking for soft makeup brushes for different purposes. 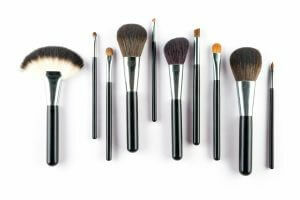 Makeup brushes accumulate dirt and dust because of makeup and some other air pollutants. Because of this, you would need to regularly clean them to keep them hygienic and prevent any health issues. But, how do you correctly clean your makeup brushes? There are two ways to do it, according to each type. For natural-made bristles, you must first clean them with water mixed with a dishwashing detergent until you make sure the water is already clear. However, you must swirl them in your palm so you can assure there won’t be any residue. Then, soak the bristles in lukewarm water, making sure that each strand is sufficiently wet. Then carefully squeeze out the remaining water from the bristles and shape them to a point. For synthetic-made bristles, you can use baby shampoo to clean them. Just wet the bristles with cold or warm water and clean it with a small amount of shampoo using your palm. Rinse them well until there’s no more indication of bubbles. Just like the previous type, squeeze out the remaining water and shape them to a point. Although they are cleaned differently, there’s only one best way to dry them, that is, by hanging them. You can wrap the tip of the handles with a rubber band and tie them with a string to hang overnight. This will ensure no amount of water will drip down the ferrule, breaking the glue that sticks the bristles together. It is also important to keep in mind that the makeup brushes should not be ideally dried flat on a towel because fungi may develop. Have you decided which makeup brush set you need? Finding the best set might take time, but it’s always better to be meticulous so you can get the best quality. Once you get the right one, you’ll definitely achieve that perfect look you deserve!